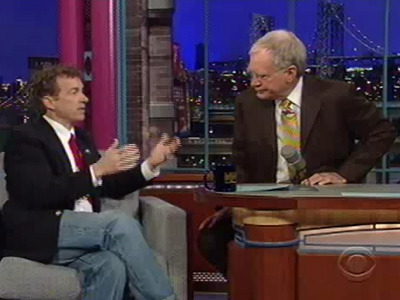 David Letterman Asks Rand Paul: So What's Wrong With Taxing The Rich? Last night, David Letterman and Kentucky Senator Rand Paul got into a sprawling political debate that included the debt, taxes, and education, with Letterman favouring taxing the wealthy more and Paul coming down on the side of reducing the government. Paul’s answer: The wealthy pay almost all the taxes, so to ask them to pay more would not be fair. And teachers in Wisconsin get paid too much already.